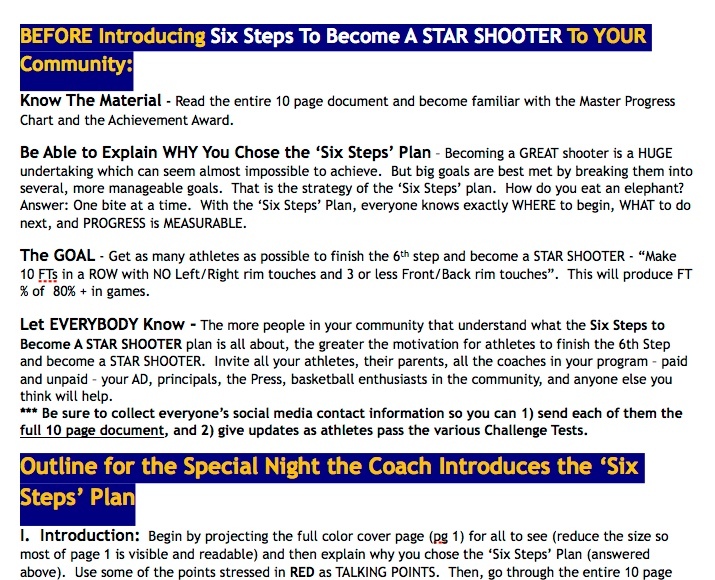 The Six Steps To Become A Star Shooter plan consists of 4 documents in PDF format and creates exceptional free throw accuracy (80%) and excellent 3 point percentage (40%+)!! Easy to read PDF that lays it all out for you. Pairing the community with the student greatly increases the motivation and results of the shooter. 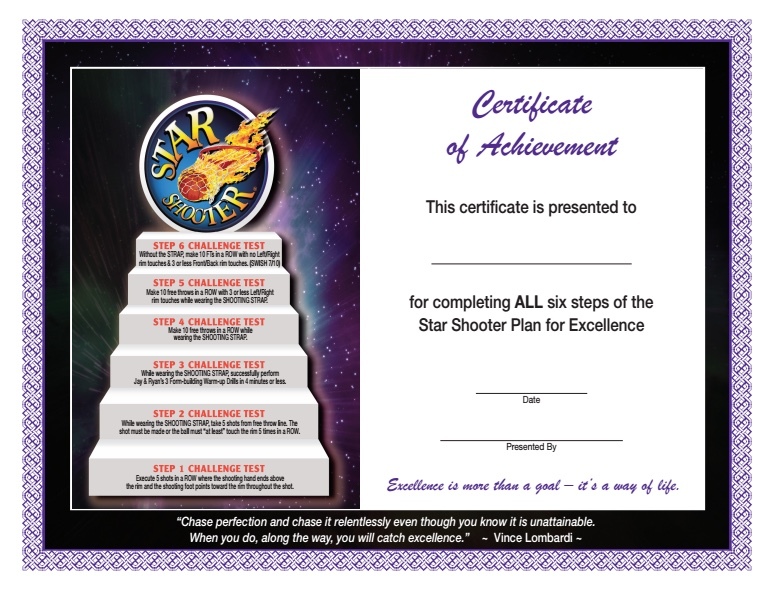 Certificate of Achievement in completing the Six Steps shooting plan. 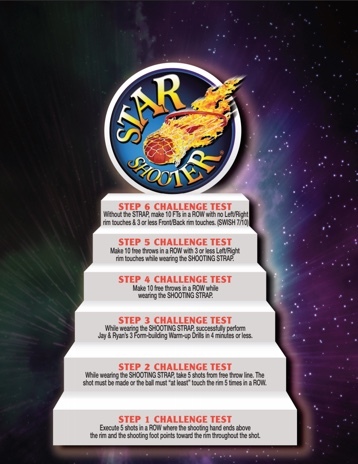 The Six Steps To Become a STAR SHOOTER plan creates exceptional free throw accuracy – 80%+ - AND excellent 3-pt accuracy – 40%+. While using Jay’s famous SHOOTING STRAP training aid, the athlete first learns proper shooting technique and then perfects that technique while practicing free throws and 3-pt shots. To GUARANTEE PROGRESS, each of the 6 steps require passing a skill test to reach the final goal - Make 10 FT’s in ROW with 1 or less Left/Right rim touches and 3 or less Front/Back rim touches. Progress chart creates competition between teammates. Results? More players finish the 6 steps. Create A Shooting Weapon - Order Six Steps Now! After purchase, your Six Steps Plan will be sent to you via email within 24 hours.